This week, Wellesley embarks on a series of campuswide events addressing the important and complex questions involving sustainability, social concerns, and campus resources, beginning with a January 28 panel discussion about divestment and other potential responses to today’s environmental challenges. "This is a really exciting time to consider how Wellesley can address climate change and related sustainability issues,” says Jay Turner, associate professor of environmental studies and moderator of the panel discussion. 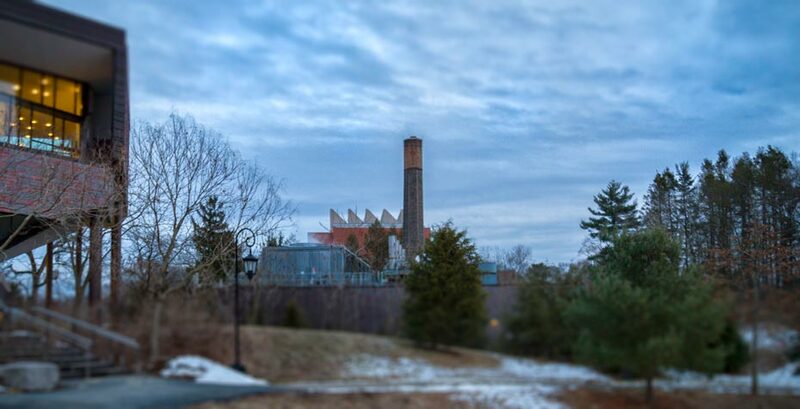 “The creation of the new Environmental Sustainability Advisory Committee, the ongoing discussions regarding divestment, and the upcoming renovations of so many of our buildings give us a chance to make some big decisions that could really advance sustainability at Wellesley." In addition to Turner, the January 28 panel includes Meredith Wade ’17, student representative for Fossil Free Wellesley; Hahrie Han, associate professor of political science; Erich Hatala Matthews, assistant professor of philosophy; Debby Kuentsner, the College's chief investment officer; and Rob Pratt, chairman and CEO of the college sustainability consulting firm GreenerU. Tuesday's discussion is in SCI 277 from 4:30 to 6 p.m., with a pre-panel reception in Sage Lounge (bring your own mug! ), from 4 to 4:30 p.m. The panelists will share their own perspectives on the important, complex questions the college is asking at the present. Those questions include: Should Wellesley stop investing in fossil fuel companies? Should social concerns play a role in endowment management? What would be the consequences of divestment? How else might Wellesley address issues related to climate change, sustainability, and other environmental challenges? The Environmental Sustainability Advisory Committee seeks community input on these important issues, and encourages you to contact a committee member, or email thoughts to sust-comments@wellesley.edu. Meet at the main entrance of Alumnae Hall. Meet at the main entrance of the Power Plant (near Campus Center).